Welcome to the Living with a Changing Coast project resource library. 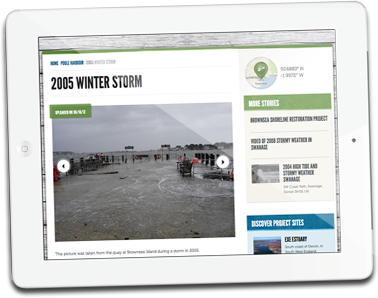 Here you can find resources produced by Living with a Changing Coast together with useful information from other similar projects and material about coastal climate change. Contributing to LiCCo Work Package 3.2 ‘Influencing policy at a local, national and International level’ the following paper describes the ‘Good, The Bad and the Ugly impacts of the Habitats Regulation Assessment (HRA) at Dawlish Warren’ as applied as part of the proposed works for the Dawlish Warren Beach Management Scheme. The views expressed are personal and based on practitioner experience and reflect upon the principles of the HRA process rather than specific technical detail. They are written with the intent to further debate and learning through shared experience and do not reflect the views or responsibilities of any organisation. The 2014 State of the Exe Estuary was prepared by the Exe Estuary Management Partnership (EEMP) to provide easy access to the information available on the current status of the Exe Estuary. Using this information it is possible to see how the Estuary has changed in the past, and to describe its present condition. The report highlights the changing pressures, natural processes, varied uses and quality of the Estuary, and how they interact with each other. Equipped with this information, stakeholders of the Estuary will have a good understanding of the potential long-term consequences of their current actions and can make more informed decisions, which will benefit the Estuary and its users. A guide to heritage on the Exe Estuary, from the 1200’s to the 20th Century. Maps, photographs and historical paintings illustrate the rich history of the Exe Estuary and how storms have affected the area through the ages. The following documents have been kindly compliled by the Exmouth Historical and Archaelogical Society as part of the LiCCo project. They show how the coastline around the Exe Estuary would have looked in the 19th and early part of the 20th Centuries, as seen through the eyes of both resident and visiting artists. These paintings tell us a great deal about the evolution of the local coastline, particularly when viewed alongside old ordnance survey maps of the time. The paintings themselves are supported by text which gives more detail about the lives of the artists responsible.